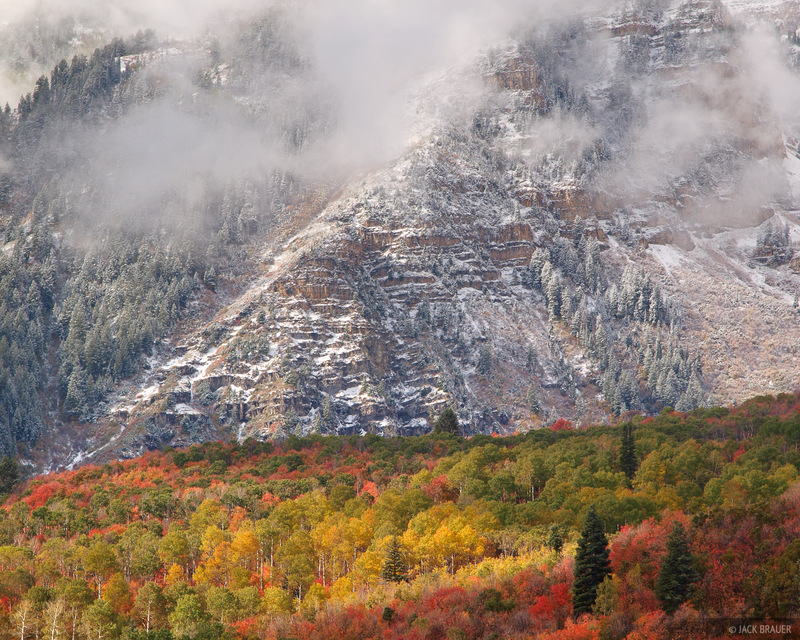 I spent a long weekend in Utah this October, and had a good time photographing the eastern side of the Wasatch Range in the area between Midway and Sundance, in the foothills below Mount Timpanagos. Though I wasn't there for the prime aspen colors, there were some really colorful oak and maples, and I also lucked out with some cold weather and fresh snowfalls. 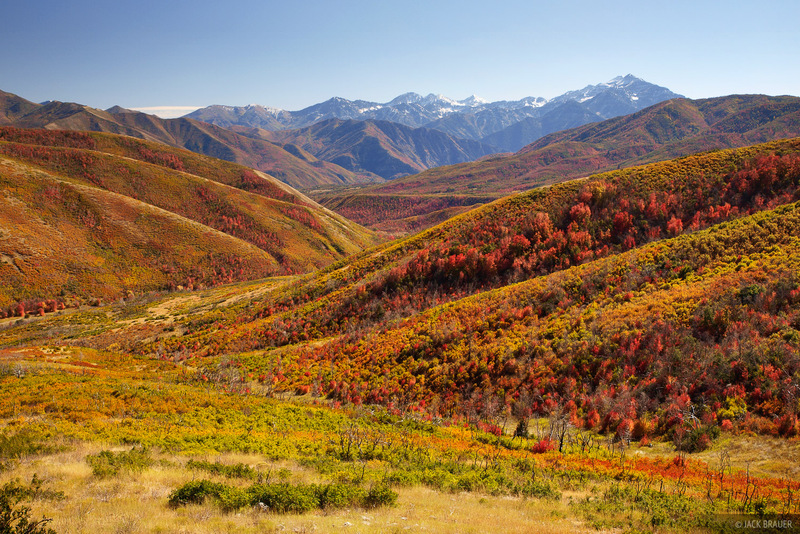 Rastafarian autumn colors near Cascade Springs in the eastern foothills of the Wasatch Range of Utah - October. Cascade Mountain rises in the background. Photo © copyright by Jack Brauer. 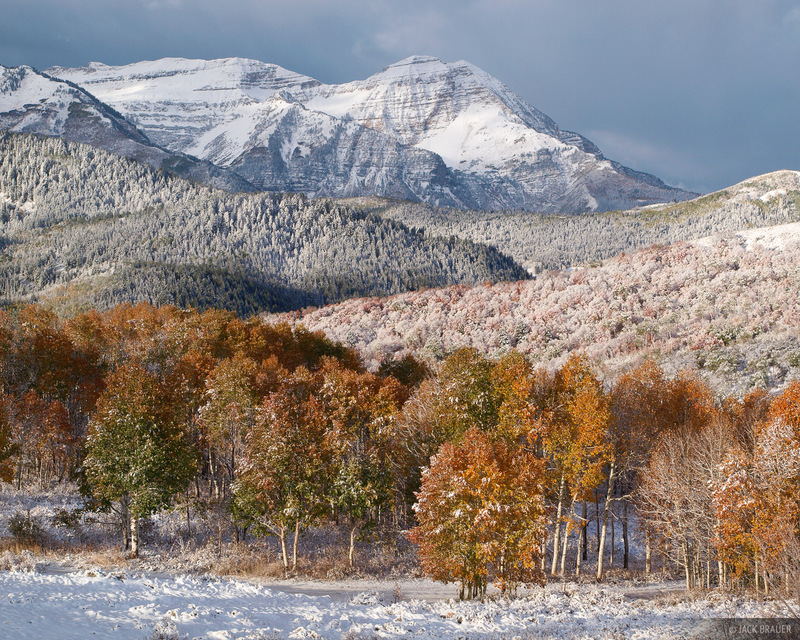 The North Peak of Mount Timpanogos, smothered in fresh October snow. Photo © copyright by Jack Brauer. 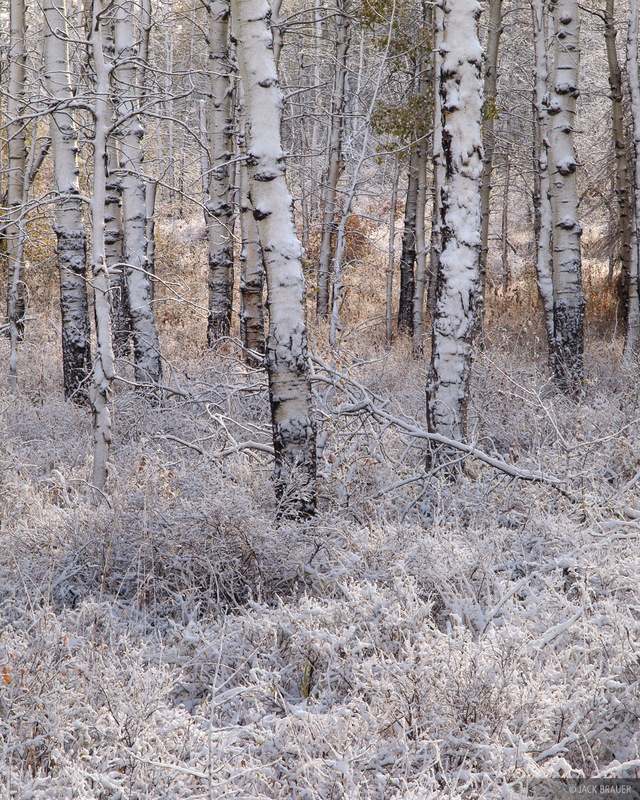 Aspen trees caked with fresh snow on a cold October morning. Photo © copyright by Jack Brauer.